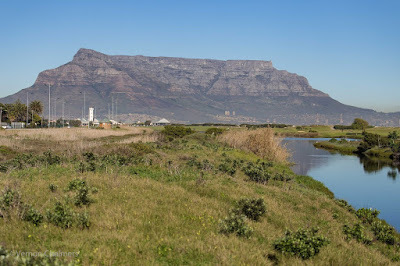 "The estuary mouth at the Milnerton Lagoon closed due to the formation of a sand bar at the mouth. This could have been caused due to less water flowing through the water during the drought. The sand bar resulted in water levels steadily rising in the lagoon until the water started spilling over Esplanade Road on the north-eastern bank of the lagoon. An environmental authorisation was obtained to use an excavator to open the sand bar, but the use of a manual approach is preferred by Nature Reserve Management. Nature Reserve staff used spades to open the mouth by hand in order to drain water out of the Milnerton Lagoon. Nature Reserve staff have also been monitoring the sand bar and water levels in the lagoon on a daily basis since the problem was observed."